High temperature silicone reinforced actuator diaphragm. High temp alloy is used for valve and 347SS valve housing will offer longer product life compared to competing designs. External wastegates are commonly used for regulating boost levels more precisely than internal wastegates in high power applications, where high boost levels can be achieved. Horizontal Ribbed designed that makes it highly resistant to heat. 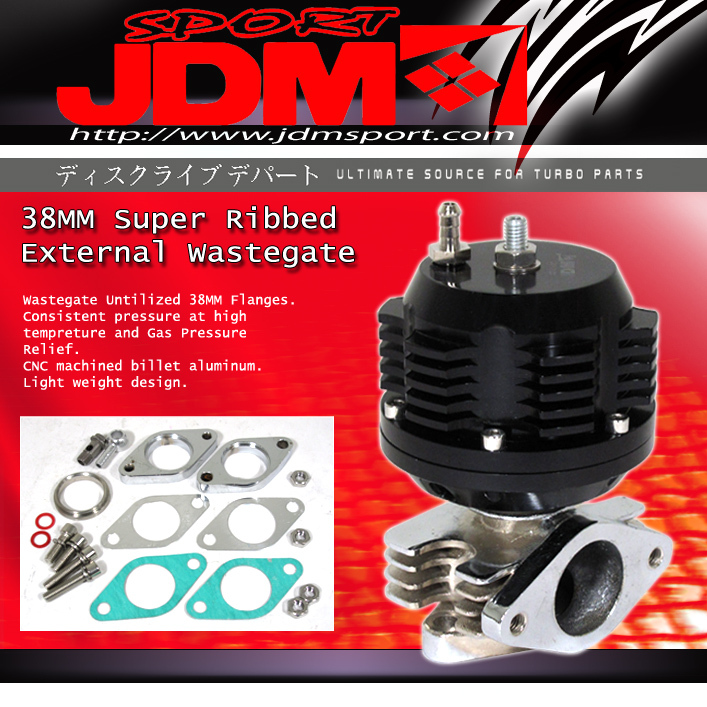 This wastegate allows you to change PSI by simply changing the Wastegate Springs. Comes with a spring around 8ps. Used with any turbo manifold with 35/38mm external wastegate flange. All hardware are included as seen in the picture.